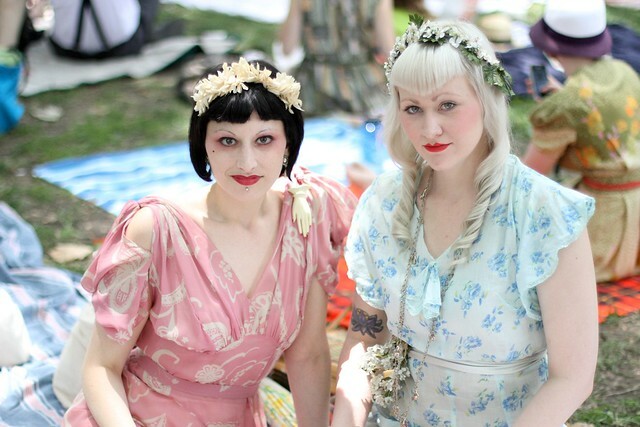 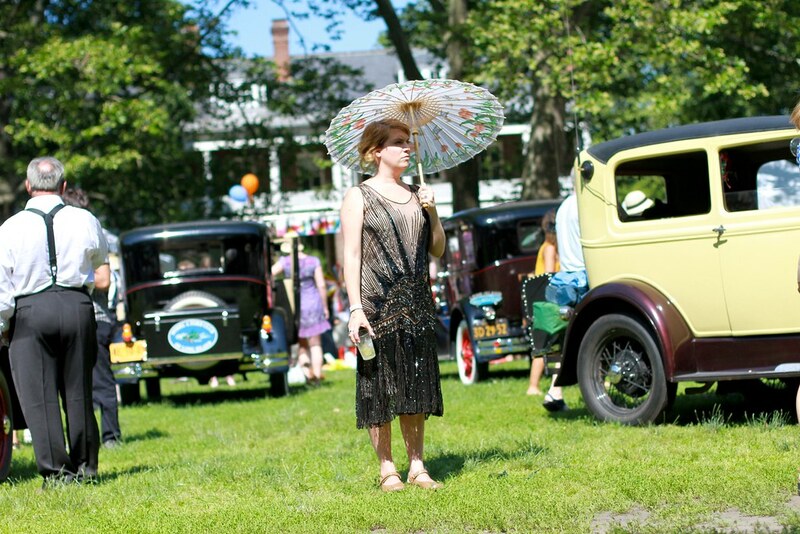 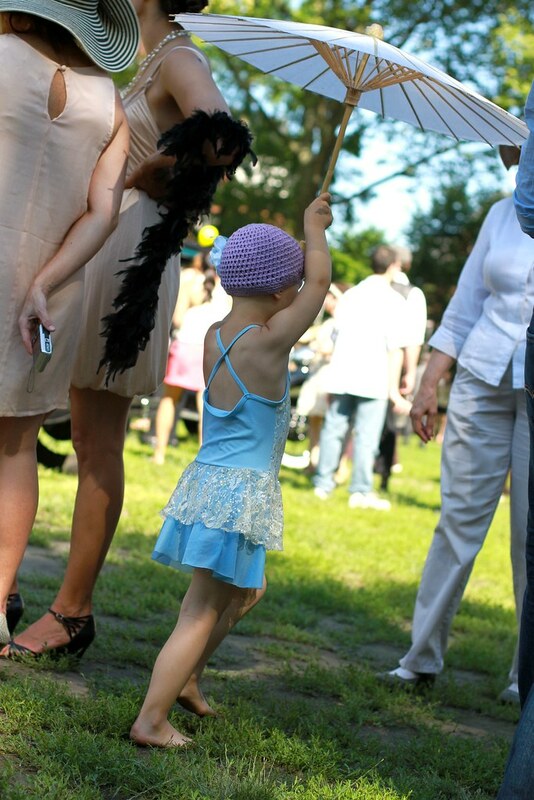 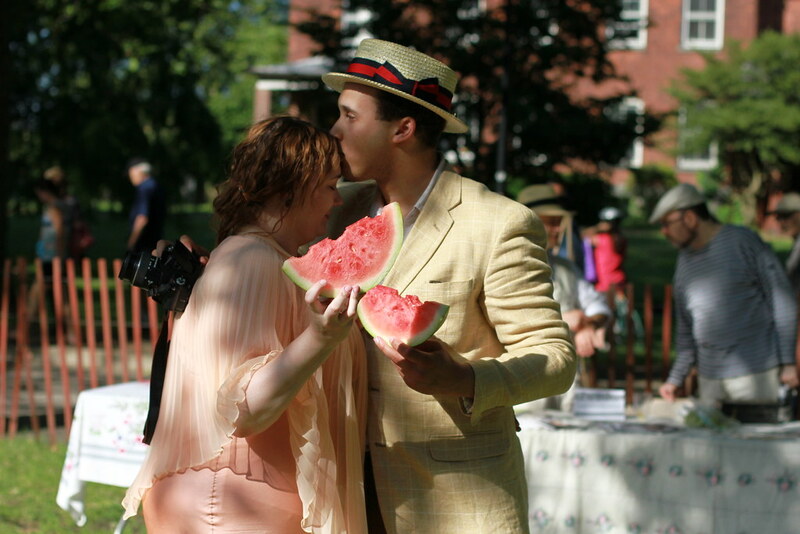 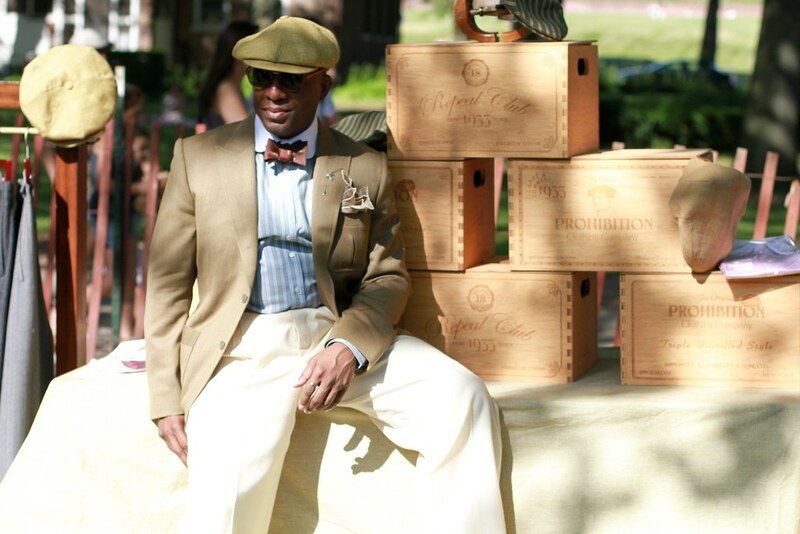 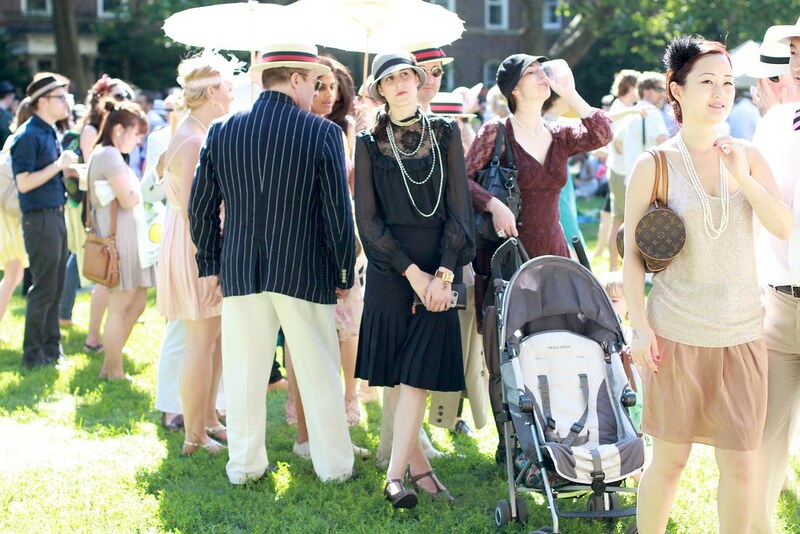 The Jazz Age Lawn Party, held two weekends a year on NYC’s Governor’s Island, is my hands down favorite “Summer in New York” event to attend. 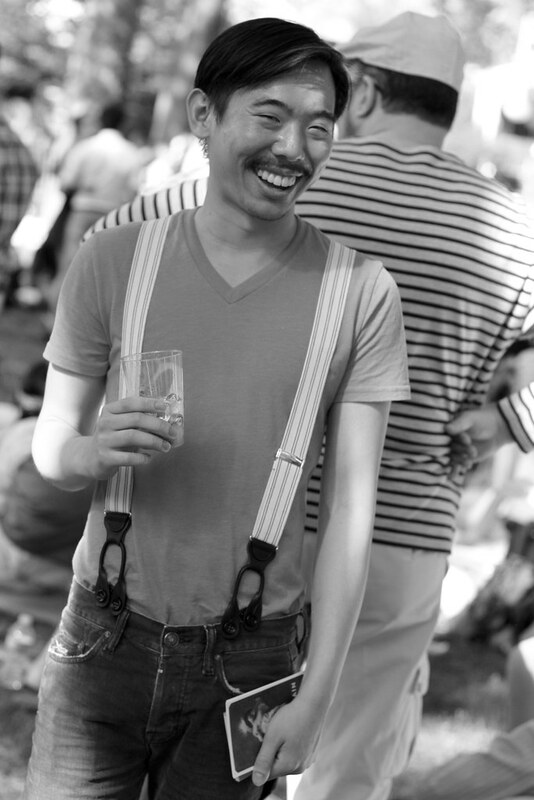 This year, for the first time, I went in both June and August. 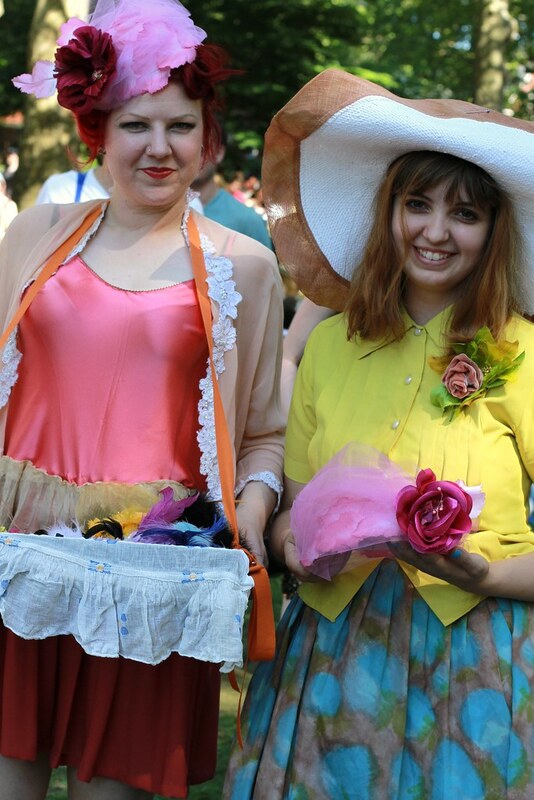 I still had a blast, but my first visit in June was very hot, and the event seemed weirdly overcrowded (a first in the many years I’ve been attending). 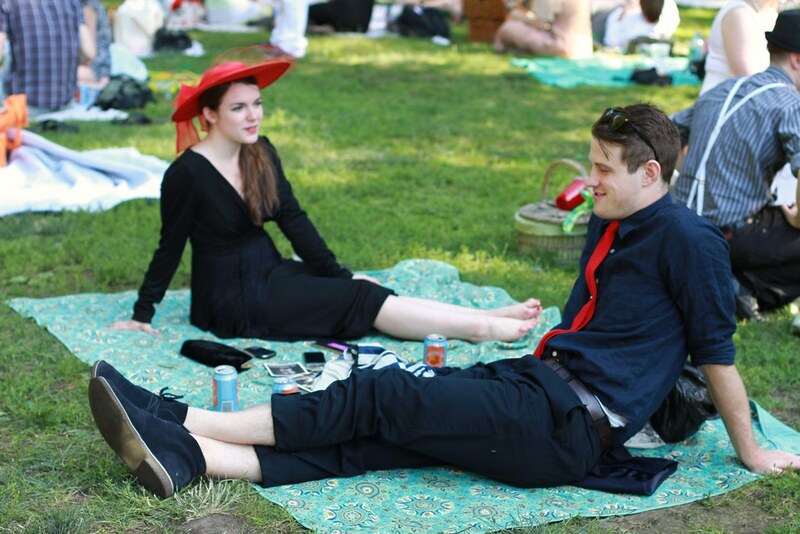 Yesterday’s event was much more laid back, and the weather was pleasant– making it even easier to run around and capture so many amazingly dressed guests in all of their finery. 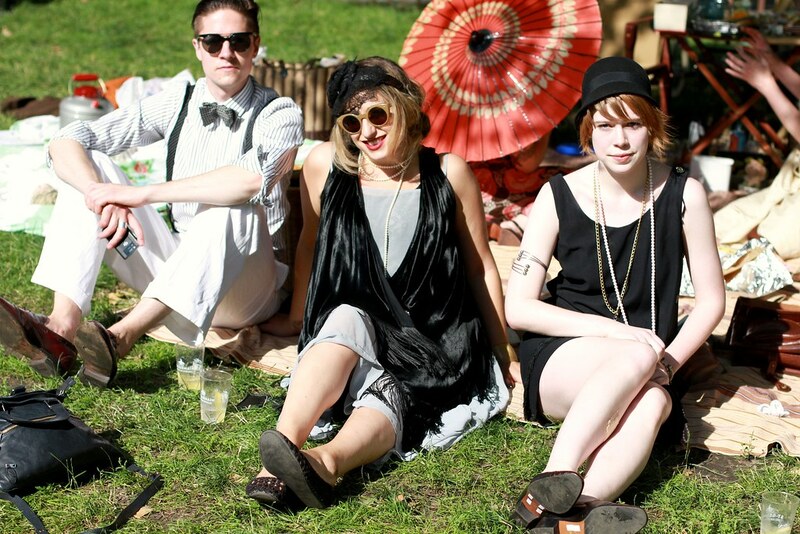 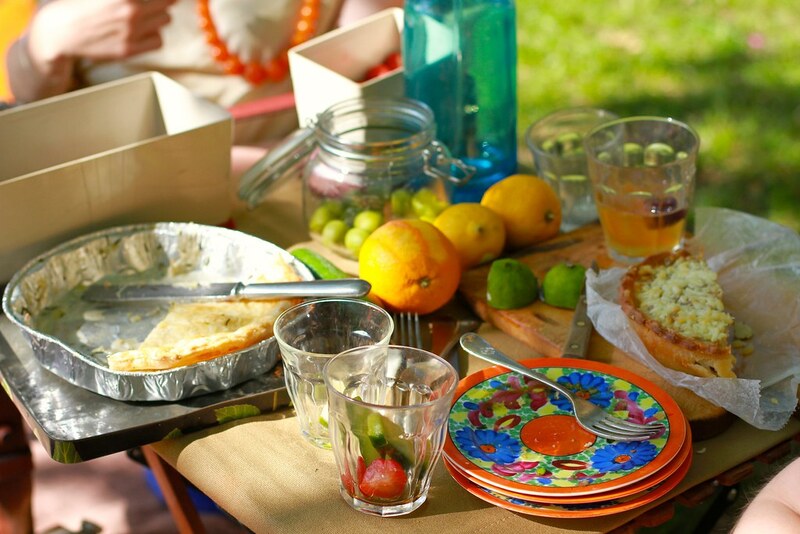 With a few breaks to sip champagne and picnic with friends of course. 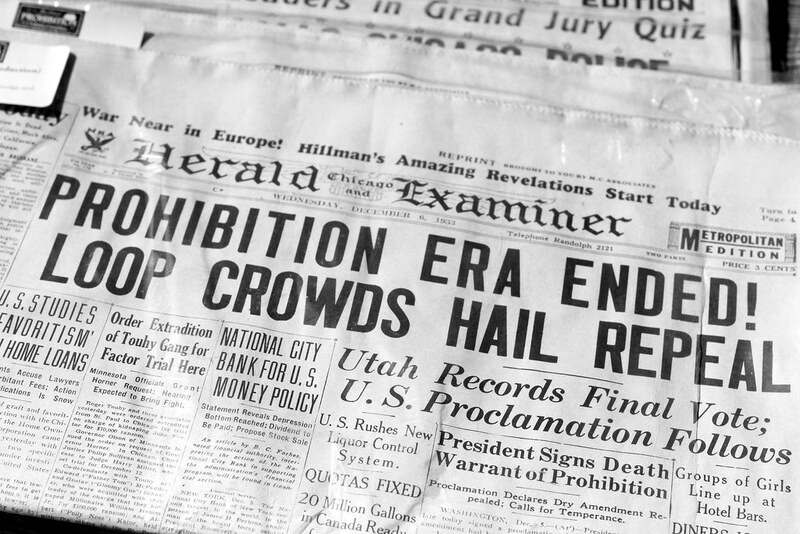 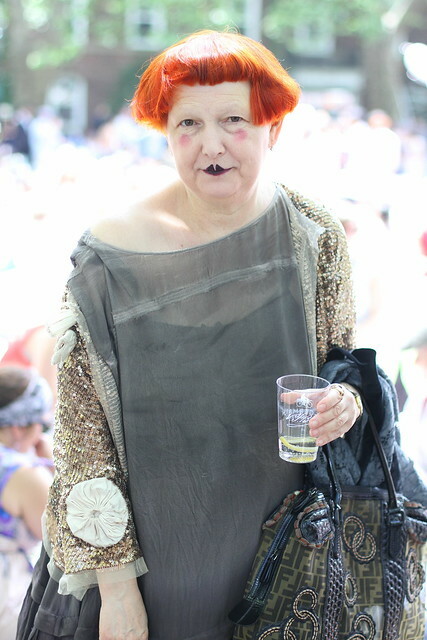 Needless to say, if you ever have the chance to attend— GO. 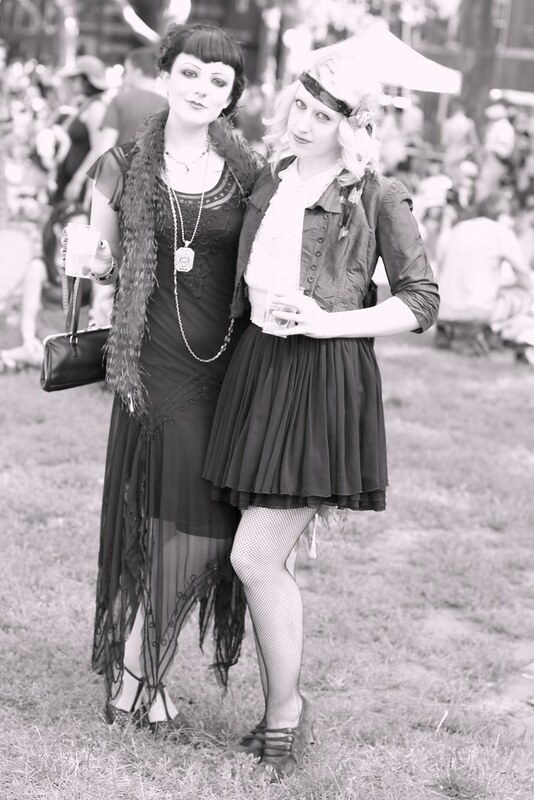 This is one of those words cannot do it justice type of gatherings. 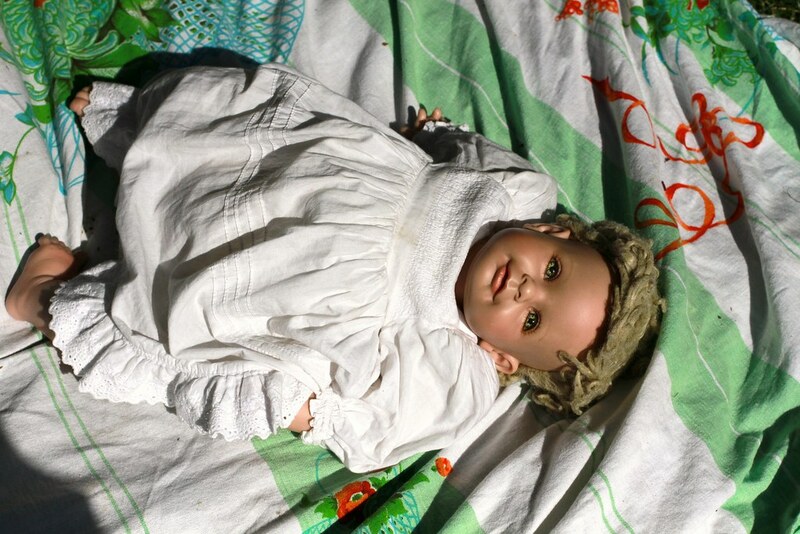 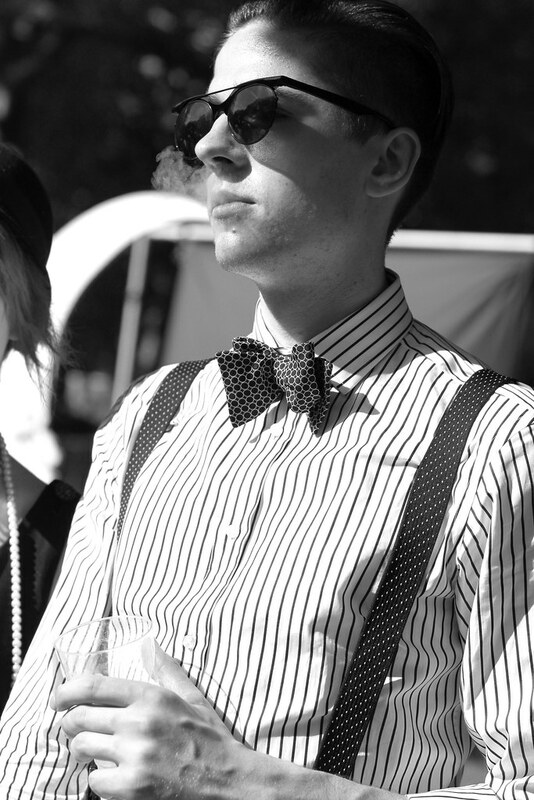 So I’ll just let the images do all the talking from here. 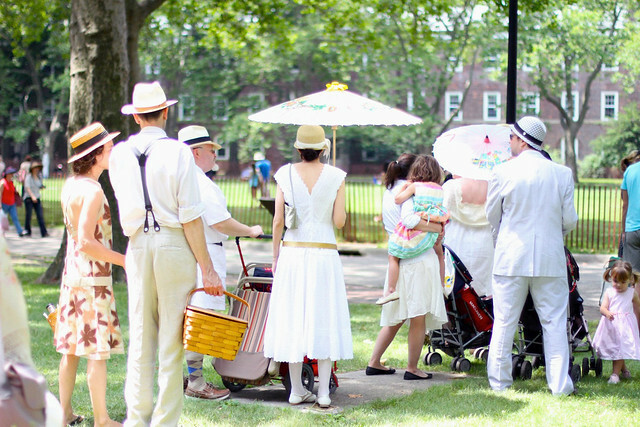 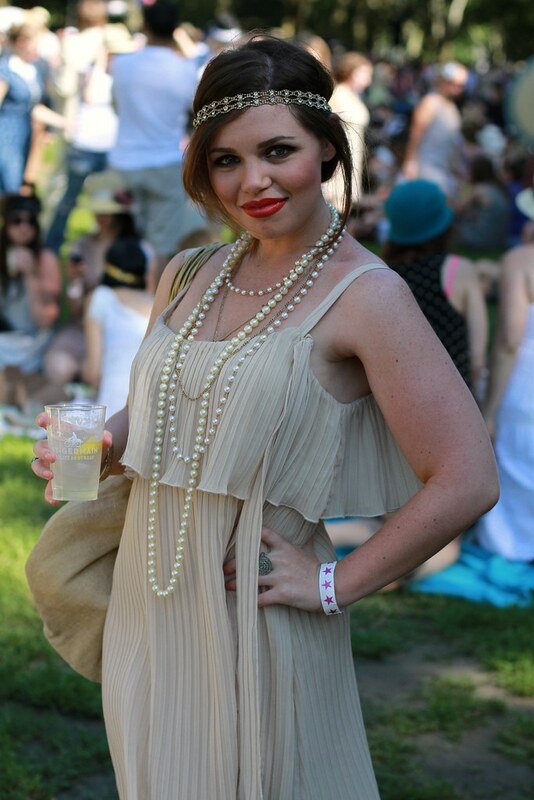 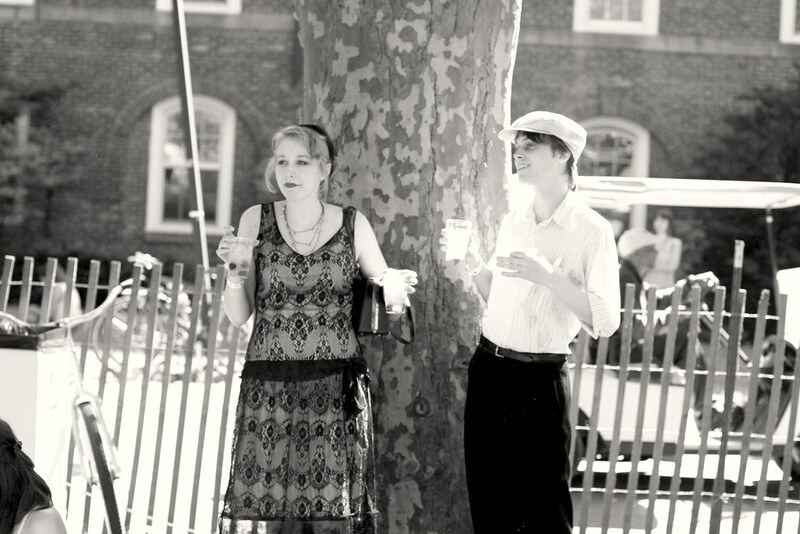 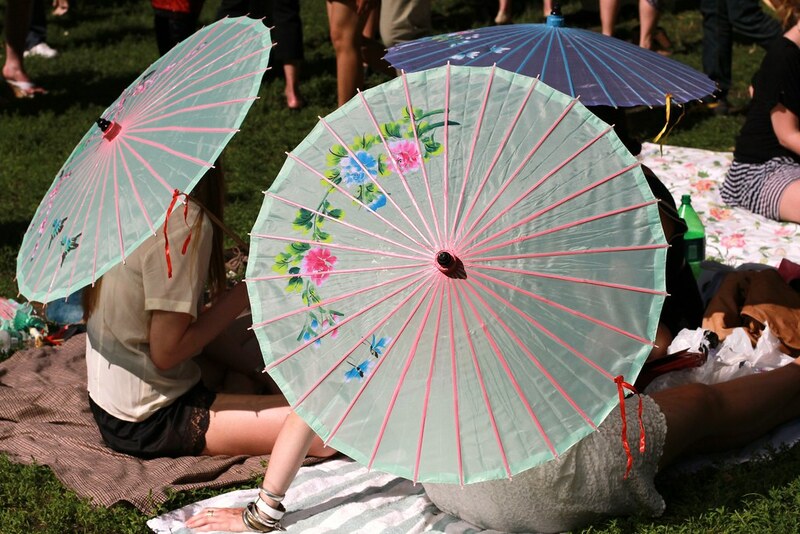 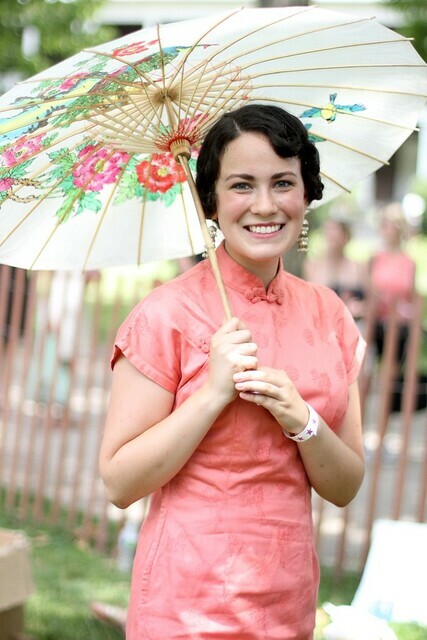 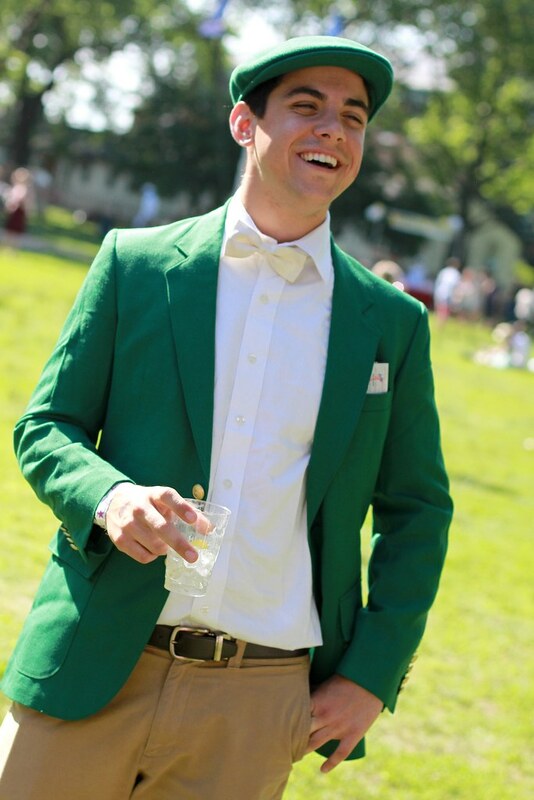 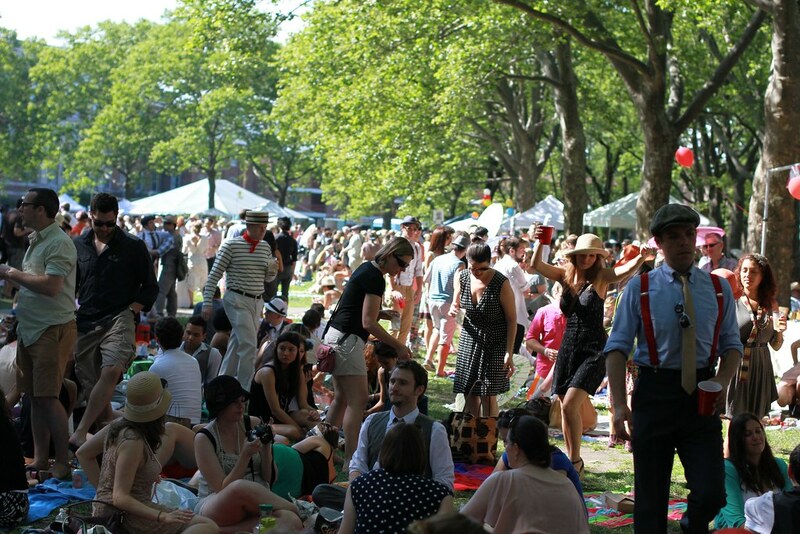 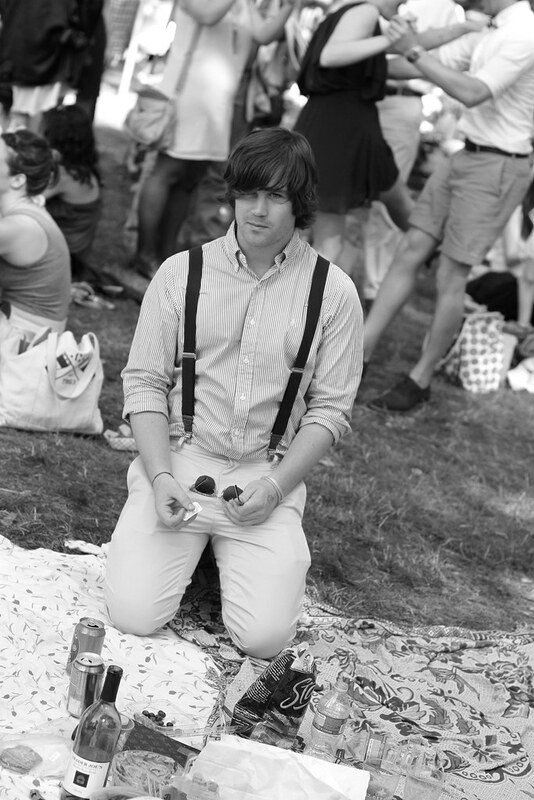 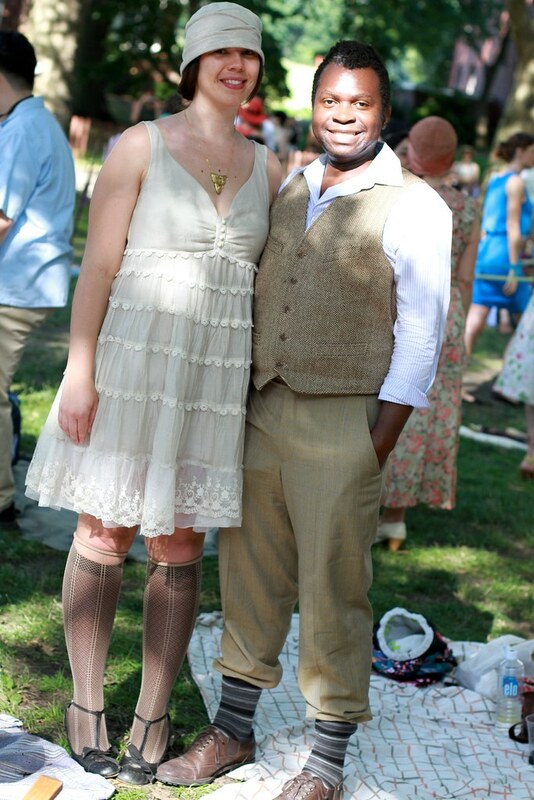 The Jazz Age Lawn Party, held bi-annually on Governor’s Island, is my hands down favorite NYC event of the summer. 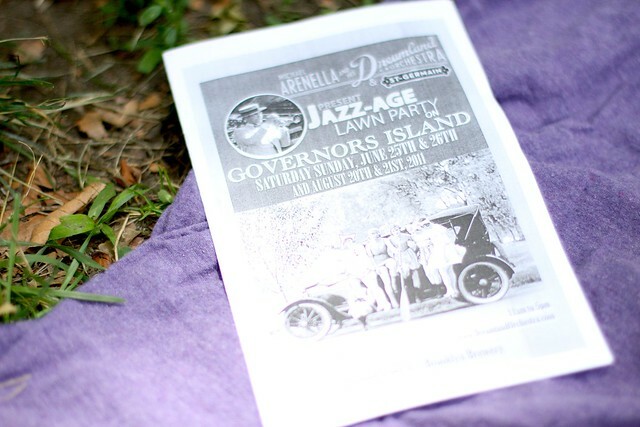 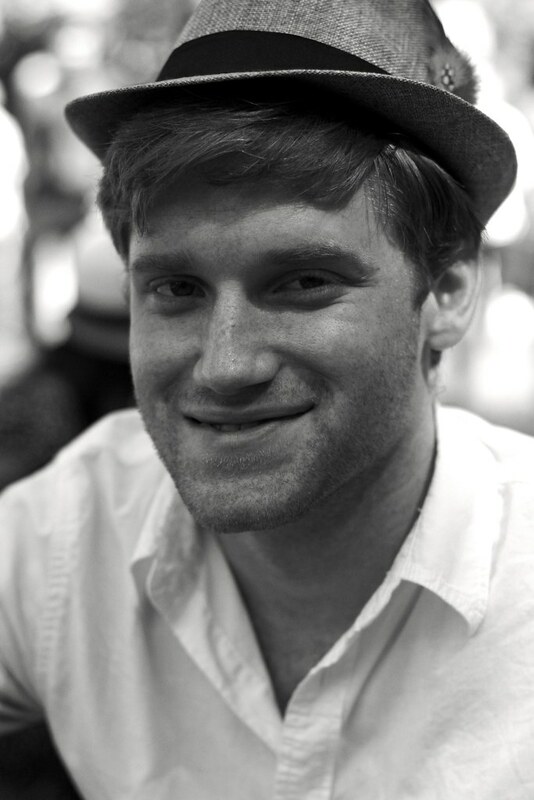 I first fell in love with the party last August. 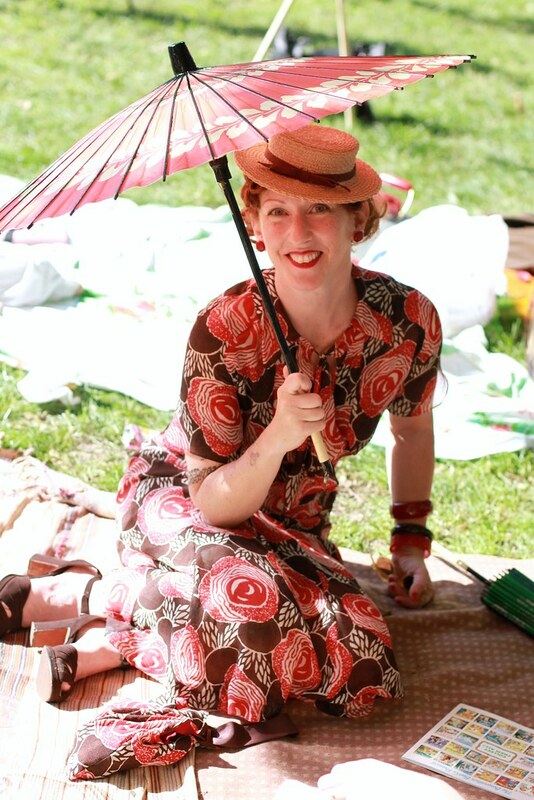 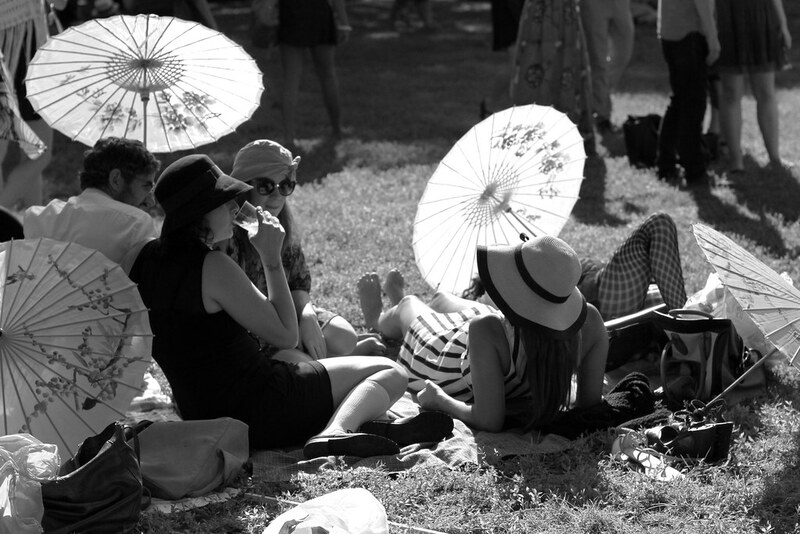 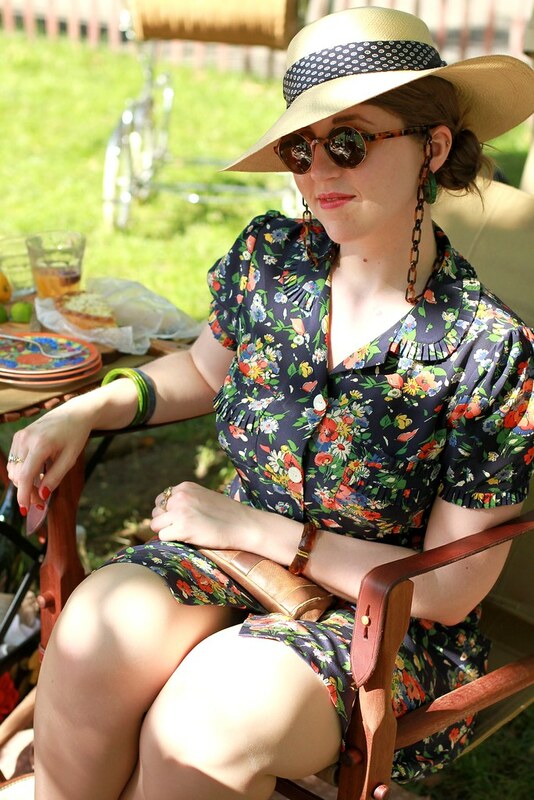 There’s nothing like spending the day on Governor’s Island, enjoying old time-y dancing, picnic lunches, tasty drinks, and amazing jazz age inspired fashion. 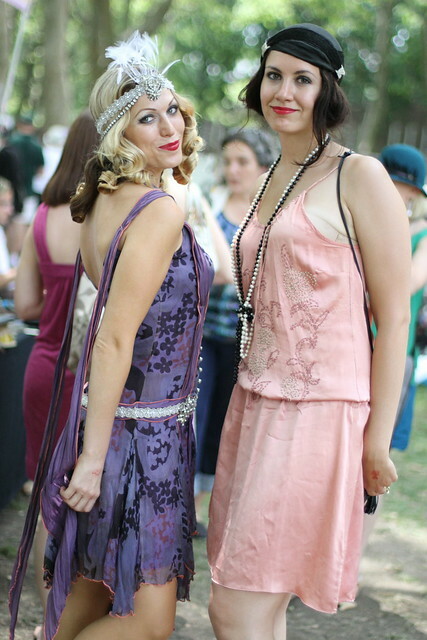 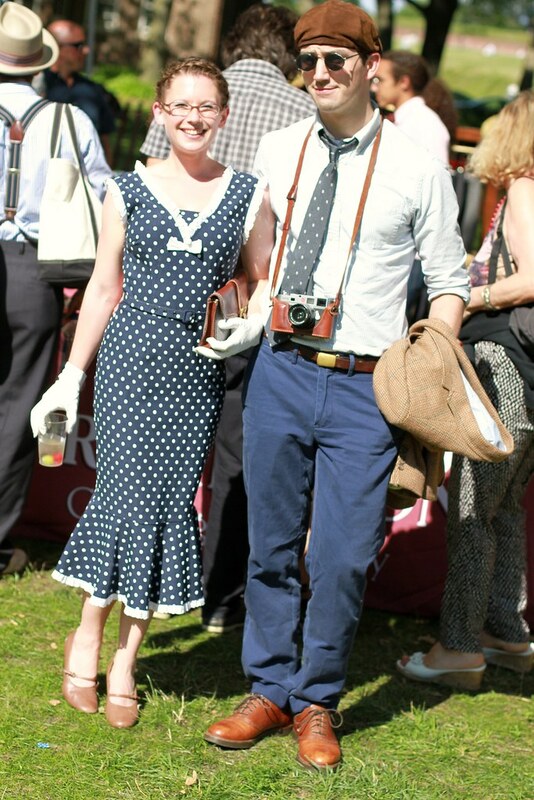 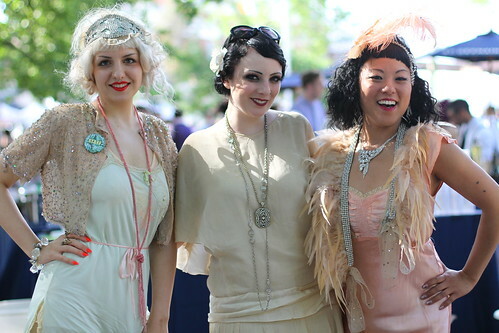 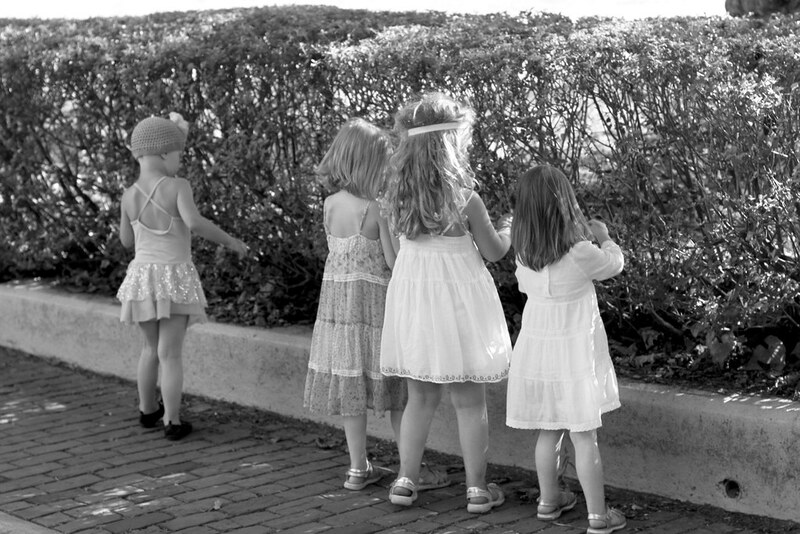 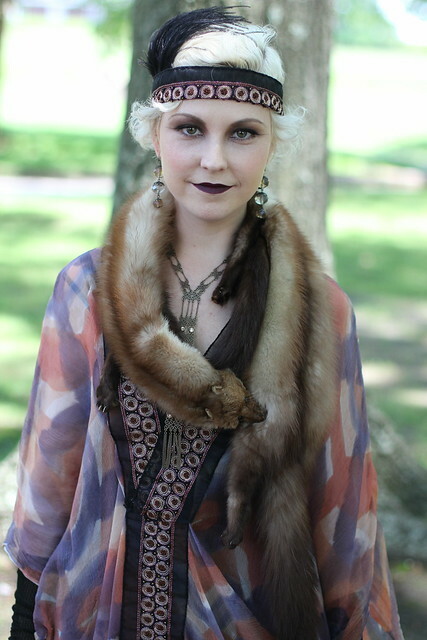 The street style at the Jazz Age party cannot be beat! 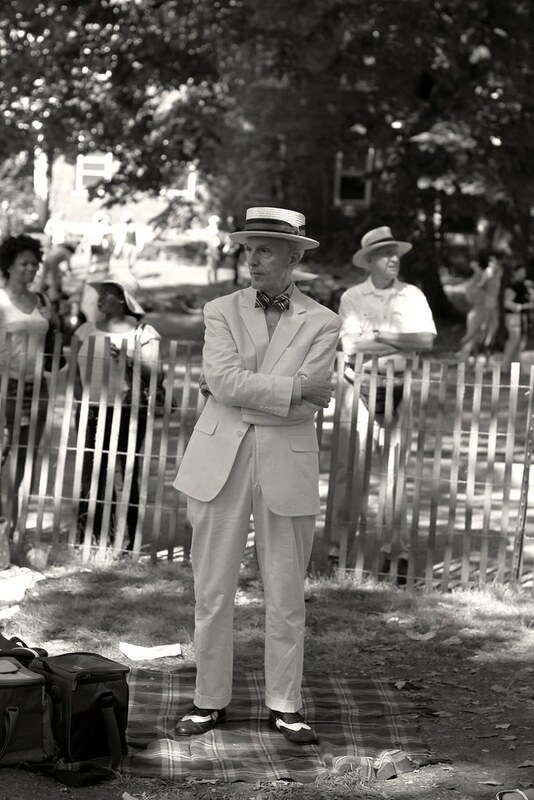 Sadly, I’ll be missing the August event this year. 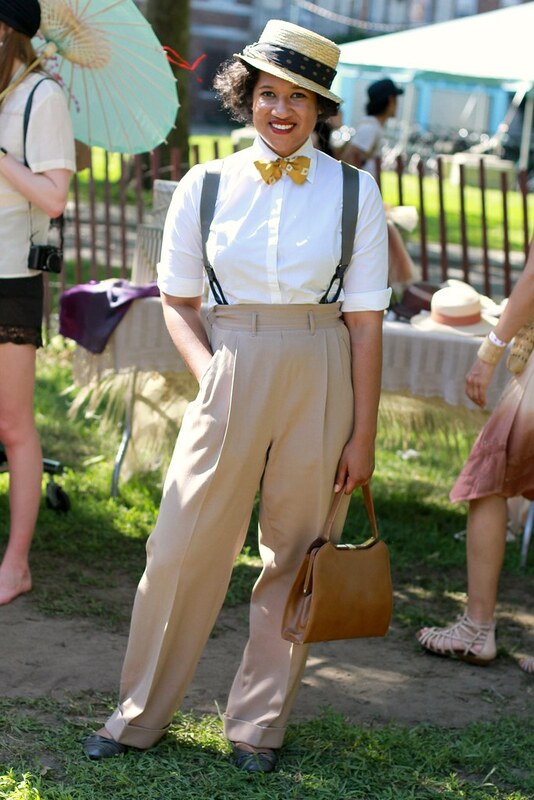 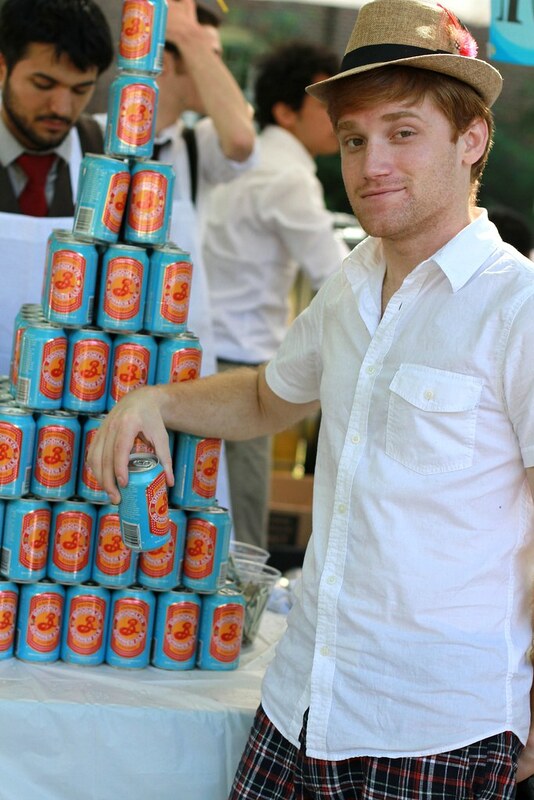 But I did manage to make it over to the party this past Sunday. 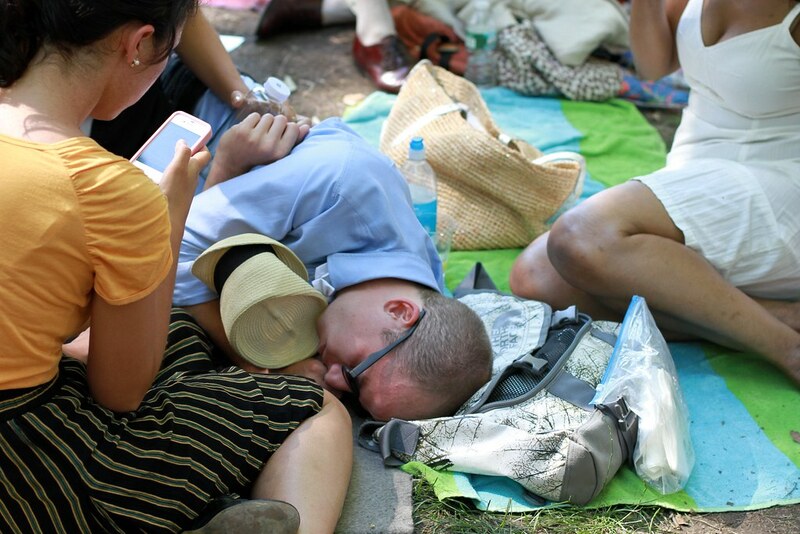 With the help of the new East River Ferry, my journey was cut in half! 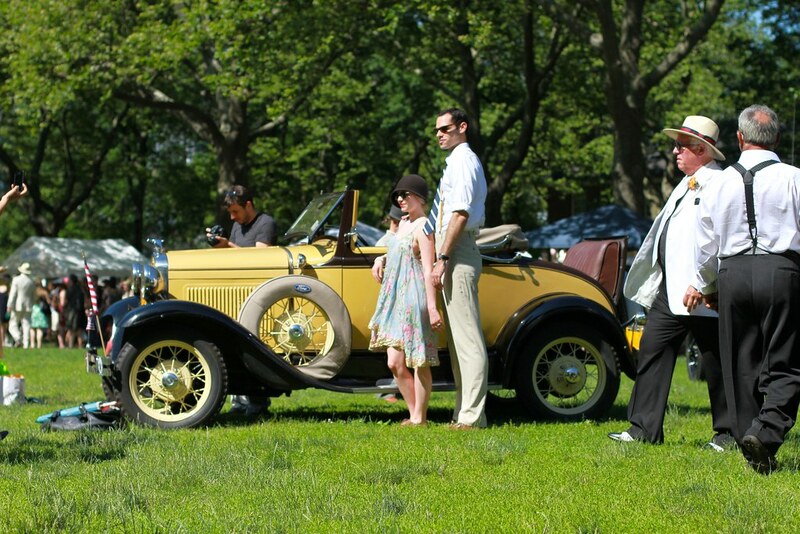 I’d definitely recommend using that as your mode of transport if you’re based in Brooklyn, like I am. 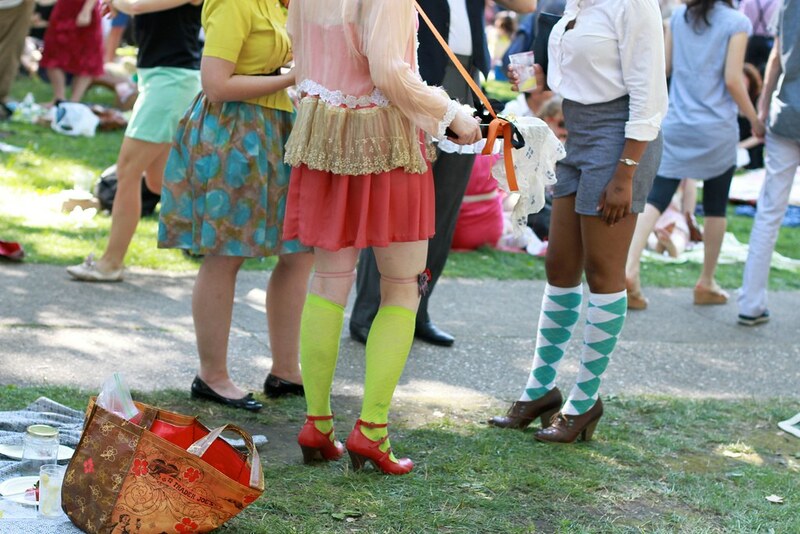 As soon as we encountered the line to get in, we already ran into some amazing fashion. 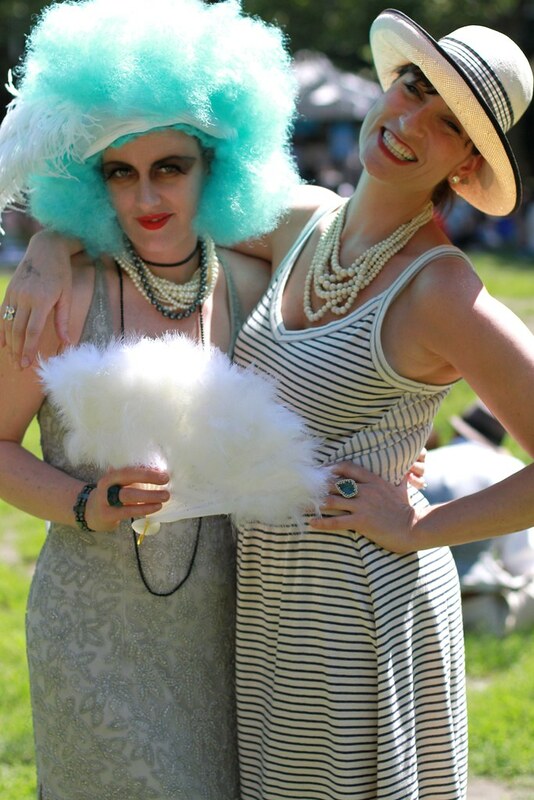 I frequently see both of these ladies at events around NYC. 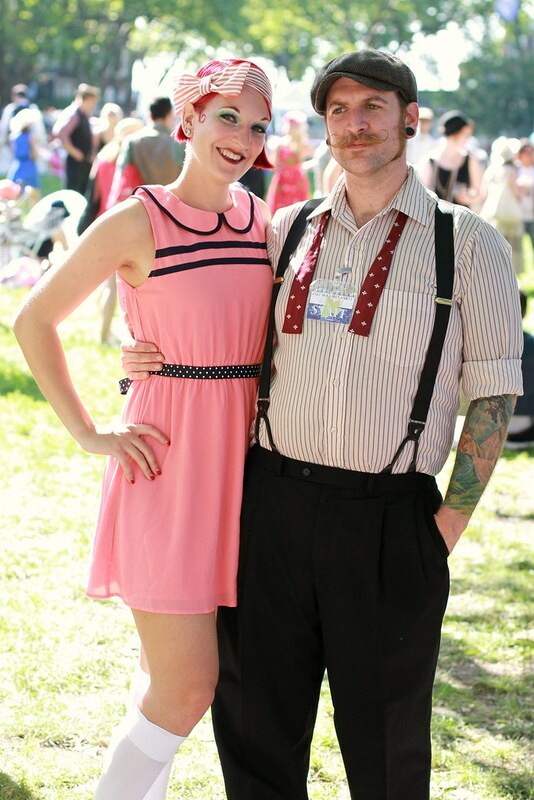 They always look amazing! 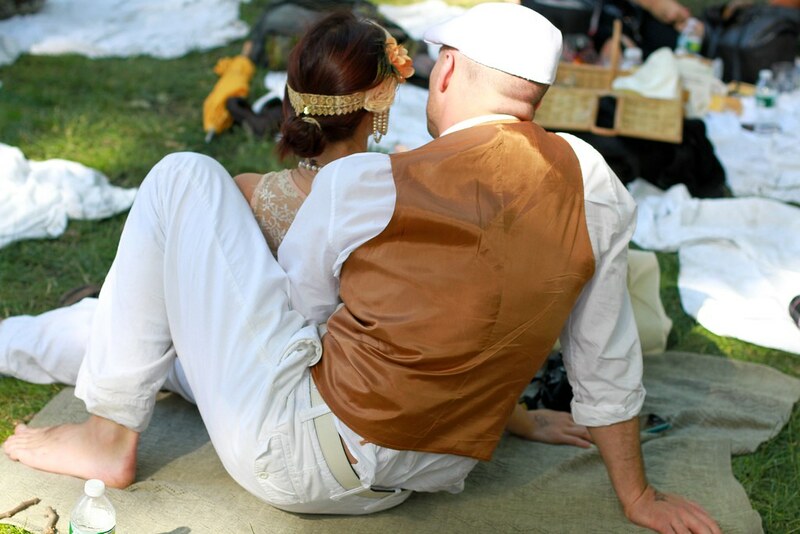 Definitely my favorite photo of the day.